Key topics start with colonial writers and cover three centuries of American prose and poetry, including present-day trends and influences. 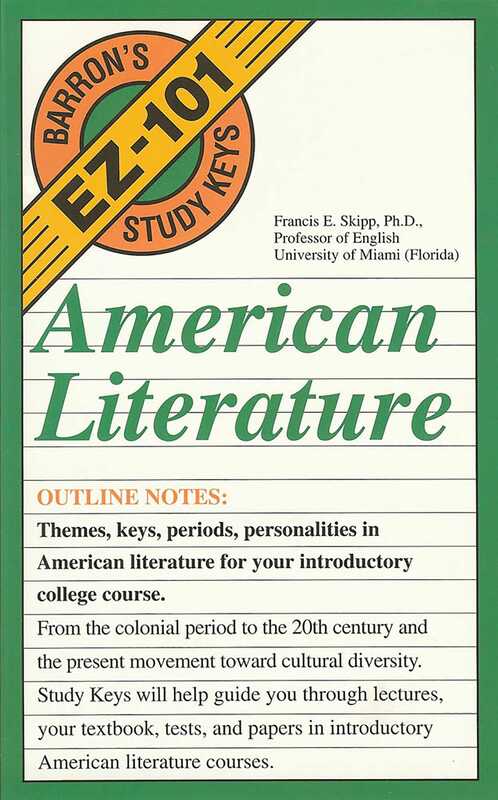 Designed to be compatible with virtually every standard textbook in their subject field, Barron’s EZ-101 Study Keys give you a valuable overview of your college-level course. Classroom-style notes emphasize important facts, remind you what you need to remember for term papers and exams, and help guide you through the complexities of lectures and textbooks.